What Is Balance Number In Numerology? Different people react differently to the challenges they face in life. Some people have the habit of withdrawing from difficult situations to think about the problems thoroughly; others withdraw from their emotions, to escape from feeling anything. Some people explode with emotions, but allow the explosion to pass quickly. Others linger with their feelings, thinking about them internally. You need to show more maturity and self-development to learn new and more effective methods of handling the world and the problems we confront. In this context, your Balance Number guides you on how best to deal with difficult or threatening situations. 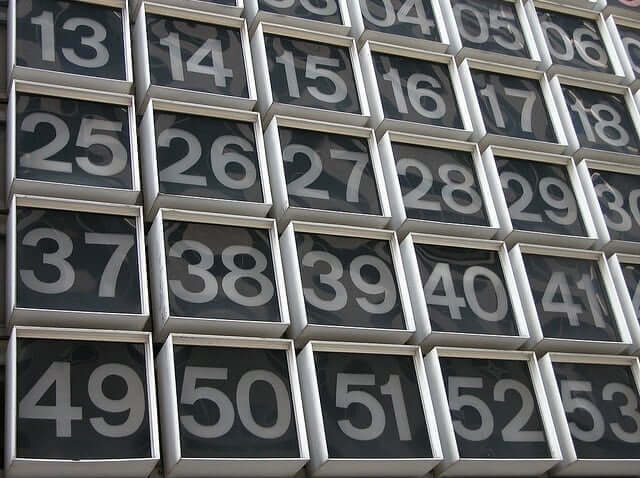 This numerology number tells you about the difficult times you would face in your life. You also know about the best way to use your abilities to face the various challenges in life and how to handle the difficult times. Find your balance number using the below numerology calculator. People with balance number 1 have the confidence and capability to handle a situation in an effective manner. But ou should give value to the others viewpoints too. This attitude might help you in the long run. You don’t like to seek the help of others easily since you have a huge ego. You are also very aggressive and stubborn. Once these drawbacks are overcome, you can achieve success in every walk of life. You should make use of your keen sense of awareness. You can ask others for help if needed. You have the capability to react to a situation more confidently and capably. You have the courage and strength to win the war but others’ advice may also be helpful. Avoid being obstinate. You should have the right balance of courage and creativity. You can draw strength from yourself but sharing your troubles with friends and family can also be beneficial. You tend to be a loner when you are facing problems. This can make you more isolated. You should be more open to the advice of others. This will widen your views about a problem and give you new information on which to base your approach. With number 1 in a numerology reading, you should exercise your strength, creativity, and courage to win the war. You let others influence and lead you in difficult times. You lack the basic confidence and fortitude needed to face a difficult situation. You lose your nerves in hard times. You need to be more calm, composed and reflective so that you can find a suitable way to solve a problem. Instead of letting others influence you, you should give value to your inner instincts as well. You need to take a balanced approach in handling situations. You should be more tactful in your approach. You should imbibe courage within yourself to complete your task. You need not fear anybody. You should learn that being emotional would not help you in the long run. Be extra careful about not letting the opinions of others influence you. You should learn to keep your calm in tense situations. Here balance and harmony are needed to win the war. With numerology balance number 2, you need to work hard to diffuse tension and use your innate talent to find a mutually satisfying solution to all. You have a compromising nature. Try not to be panicky and blow problems out of proportion. You should be more balanced and work harmoniously to deal with any problem. You can be the peacemaker in a conflict. Though you are generally talkative, you need to be more articulate so that you could express your views and opinions in a more effective way to people. You need to be tactful and use all the available means in the best possible way to make things successful. In hard times and difficult situations, you tend to lose confidence on yourself. You become nervous and confused and this makes things all the more difficult for you. You should apply simple solutions for your problems so that you don’t mess up with things. Learn to express your views and opinions clearly. You should control your tongue when needed. Try to become a good listener as well. You should use all your best available resources to complete your tasks. You have to have confidence in yourself and be optimistic in order to achieve your goals. You should adopt a more lighthearted approach in solving problems. With balance number 3 in a numerology prediction, try to work with others in groups toward a mutually satisfying solution. You have a natural charm. Use it to influence the situation. You are sometimes very emotional when you face a problem. Try to control this tendency; and solve the problem objectivity. You have a tendency to become too much attached to the solution you seek. This makes you unable to see whether the outcome can be beneficial to all concerned. You are emotional and fail to view situations and solve problems in a practical way. You are conventional and uncompromising. You have preconceived ideas about things, and should learn to examine a situation to the fullest and come to a conclusion only after considering all its pros and cons. Learn to trust others as well and show your understanding and compassion. You should learn to be more practical and realistic while solving your problems, since being emotional will not help you in the long run. Try to avoid having fixed ideas about issues and also try not to take stubborn decisions. You should be more compromising. You need to show love and understanding for others. You should deal with emotionally charged issues more lightheartedly. You should make an effort to control your anger. Practice self-discipline. You also need to look at the larger picture than get confused in the details. With balance number 4, you should show your sense of justice by showing forgiveness, compassion, and deep understanding towards others. You can tackle confrontations by putting yourself in the shoes of the person with whom you are in conflict.